1947-1949 Studebaker Convertible? Photo Picture Classic Cars for sale & Classifieds - Buy Sell Classic Car & Classic Truck Classifieds. 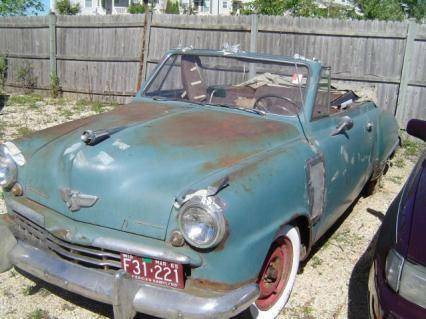 Car Photos > Rusty Rat Rods & Hot Rods from the 30's, 40's and 50's > 1947-1949 Studebaker Convertible? Help us identify the year and model of this Rusty Ride photo of this Studebaker Convertible. dig all the "Duct-tape".... Red Green musta got his hands on this....lol no seriously....this should live again...!! way too cool and rare...!